Due to the shape of their beaks chickens are not able to pronounce most consonants but can imitate most vowel sounds: A' E' I' O' U'. We have several chickens that can talk. Their communication is more than just imitation. They actually respond to certain things by fluctuating the tone of their voice. For example, If I give them a snack and say in a questioning tone of voice "Something good" speaking the slowly dragging out the words and use a questioning tone every time I give them a snack they will respond in kind. The next time they want a snack they will try to repeat the sounds I made which sounds more like "ommiiiinnnooood". Some chickens are more talented and actually seem to concentrate on the words, other's would rather not be bothered with talking. From our experience: Cochin bantams tend to be very talkative chattering or screeching to get attention but enjoy being petted and talked to. They will also worry if something is not right. They respond well to certain songs and try to imitate them. Seramma Bantams have an adept ability to sound out words and use them when they think it is the right time. 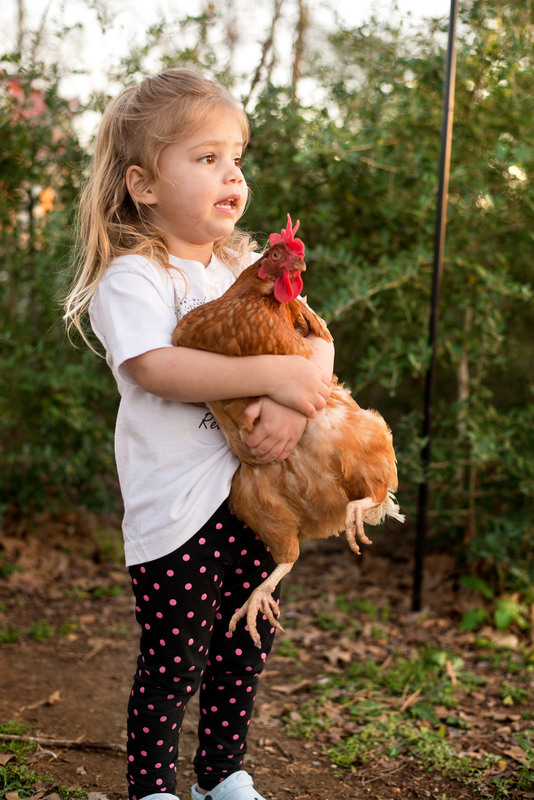 For example, every morning we get up and say, "Good Morning Sweet Pea" softly and we repeat this with every chicken. Each bird looks at us waiting for their name to be called. If we forget to call out someone's names the Rooster will call the missing bird's name out repeatedly trying to pronounce the name until we figure it out and call the missing bird's name out. We do the same thing in the evening which keeps them from getting to loud when it is time to go to their cages and hen house in the evening. Every one has their own spot where they prefer to sleep and if one of them is not in their spot the others will call out for them. Often we will know which one is missing by the empty spot but sometimes they will switch places because the pecking order changes as they mature. Since, all of the chickens know their name, if one of them is not in there they will repeatedly call the missing bird's name out just as they have heard us do. Rhode island reds and most standard breeds do not try as hard to pronounce words but will do it if they want something. RRR's tend to be very affectionate and will think nothing of hopping on your lap to get petted, if you pet them often and they will usually try to talk to you during this time. The more you talk to them: The more they will talk to you. Motherhen:"When someone comes to our house my husband always calls from his chair, "Someone's Here" or if he knows it is the mailman he will call out, "It's the mailman" The birds got so used to it that the rooster will make an announcement when someone arrives even if my husband is not there. I know who it is by the sounds they make trying to imitate the words my husband said. They have become so expert at it I know who is here before I look out the door and they are 100 percent accurate every time." According to RSPCA.org. "Chickens make about 20 different types of vocalisations with specific meanings, including different alarm calls for different predators! It is also thought that they can recognise particular individuals in their flock based on their facial features." Scientific studies and experiments have proven that Chickens have the same and in some cases higher IQ's than the average family dog! If you pamper your chickens with attention and praise, you can teach them a lot. You will be amazed at how quickly they learn with just a little bit of TLC (Tender Loving Care)! Help Save Rescued Chickens At Chicken Heaven On Earth when you purchase items from our Shoppe. Click Picture to purchase this item.